← The Tax Regimen for the Mariel Export Processing Zone: More Tax Discrimination against Cuban Micro-enterprises and Citizens? HAVANA TIMES — In the years immediately following the triumph of the Cuban Revolution (in January 1959), the island’s trade union leadership undertook to do away with the strike as a mechanism for asserting worker demands. 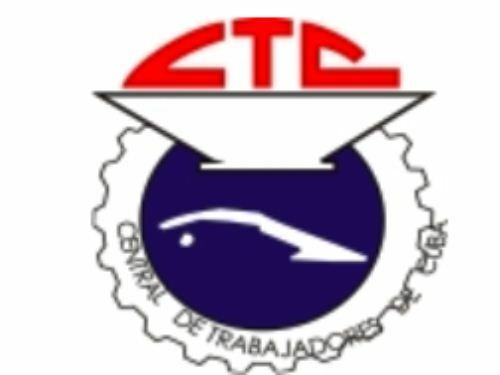 The Cuban Workers’ Federation (CTC) was absorbed by the State apparatus, regulated by the government and controlled by the single-party system which came into being at the time. The government assumed the commitment of brining economic and social progress to the country. The CTC did its part, and did it well. Though it is true the revolutionary government helped the majority of the population living in abject poverty, putting behind their deplorable living conditions, it is also true that it lost its direction somewhere down the road. This, at least, is the view expressed by Raul Castro, who went as far as saying the country had been taken to the edge of a precipice. Thus, we have arrived at a situation in which working people do not receive enough, in wages, to be able to get by. That is another statement made by Cuba’s president. Lacking an institution that can organize and represent them, Cuban workers have no means of making any kind of labor-related demands. They look on the CTC as a mere appendage of their company’s management and of State institutions. Union meetings, for them, are basically an occasion to express support for government and Party directives, calling for more work, less earnings, accepting a lay-off without protesting, etc. Defending worker rights or calls for public protests, which earn one the reputation of being a troublemaker and pave the road to unemployment, is, of course, out of the question. The State / government is free to do whatever it pleases. ¿Or is there another side to this? A responsible and courageous attitude on behalf of the CTC’s representatives and members, and an attitude of respect from the State, would be a means of channeling tensions and difficulties and of working towards a consensus around the solutions ultimately imposed on us by reality. All societies have a rebellious lot. Cuban construction workers may not have approached the CTC to express their grievances, but they did, at one point, stage a de facto strike. In the 1990s, Cuba’s construction companies were practically left without employees. The State had no choice but to substantially improve wages, accommodations for employees, food, and other conditions, in order to repopulate the industry with part of the lost labor force. A similar situation arose in connection with another difficult job, that of maintaining public order. The government had to re-locate police officers from the eastern provinces to Havana en masse, as nearly no one in the capital was willing to do such a thankless job for the low wages the State was offering. Once again, the State, faced with an inexorable need, had to give in and began paying police officers more decorous salaries. State farms in Cuba’s countryside also witnessed an exodus of workers. Here, the State didn’t respond by raising salaries but by distributing idle lands to those willing to make an honest living with the sweat of their brows. In the long run, workers again had their way. Of course, these aren’t “strikes” in the strictly theoretical or academic sense of the word. The loss of teachers, qualified health specialists and high-performance athletes, who either change professions or countries, also does not fit nicely into the Marxist paradigm of proletarian struggle. The theft of goods, raw materials, fuels and other products from any workplace that isn’t rigorously monitored fits this paradigm even less. When those at the bottom perceive that the strongest and less scrupulous of the lot are the ones who come out on top, they do what they can, even if it’s not in the textbook and isn’t exactly heroic. The dominant class, at the top, tightens the screws in response, and the result is a kind of arm wrestling match where the one who can hold out the longest wins. The Party bureaucracy and its servile underlings still find it hard to accept that working people have rights and value. They squeeze as much as they can out of them in every sphere. They try different strategies to ride out the storm or confuse their opponents, depending on the sector: they mobilize workers through the Food Program, launch intensive teacher training courses, re-locate construction workers, police officers and teachers to other regions and tolerate or encourage the broadcasting of alienating and superficial videos through the mass media. Unfavorable productivity rates are hidden behind a thick curtain of demagogy and flattering figures are extolled without limits. All the while, workers are required to show their unconditional support for the government if they have any hopes of getting ahead, working abroad or earning a very limited bonus. A string of tiresome political campaigns – as oppressively dense as they can be thrown together – are used so as to drain people of the energy or will to think about changing the (dysfunctional) way in which things work in the country. At certain points in time, more material incentives are made available in given jobs and, when a more or less precarious stability is achieved, they are taken away. Where none of this can be put into practice, or where it fails beyond any hope of recovering the sector, or where the government cannot afford to lose the profits to be gained there, they liberalize the sector and make concessions to foreign capital. The CTC is the most conspicuously absent organization throughout these processes. So much so, that it is evident that Cuba suffers from a degeneration of supposedly grassroots organizations, those which ought to organize and defend the workers. This would pave the way towards a possible raise in worker salaries and the implementation of measures and plans aimed at increasing production, improving services, taking better care of the environment, satisfying community needs and other improvements. One is more likely to see an apple tree sprout oranges than a privileged class give up its benefits willingly. We probably won’t be able to avoid an intermediate stage of chaos in which the country’s productive structures and services infrastructure are worn down, when hard facts will force many to change their way of thinking. Those who have stifled, or stood by as others have stifled the ability of Cuban workers to self-manage and organize, bear a heavy burden of responsibility for the incalculable damage to the nation and the people this has brought upon us. 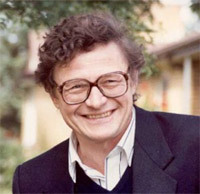 I say this so as not to come off as too much of a radical, and affirm that, since we aspire to build a socialist system, where the means of production are controlled by the workers, what we simply need to do is do away with the country’s bureaucracy in one fell swoop and let the workers manage their workplaces, and the country, as they see fit. This entry was posted in Blog and tagged Freedom of Assembly, Labor Rights. Bookmark the permalink.